During the winter of 2004-2005, storms closed down Route 2, the Angelus Crest Highway, a 66 mile stretch of mountain road between La Canada (“La Can -Ya-Da”) and Wrightwood, California. In March of 2006 another storm caused more damage to the roadway, washing out a large stretch of the highway, and further delayed its repair. On May 20, 2009, after nearly four and a half years, the Angelus Crest Highway reopened. 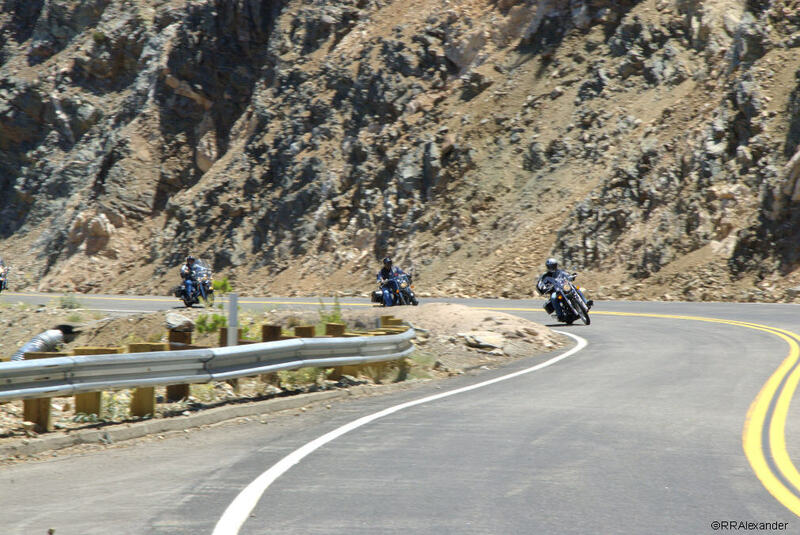 For Southern California motorcyclists, it was like receiving a bonus birthday. For those of us who had travelled the road before its forced closure, it was a chance to once again ride the road whose sweeping curves and alpine scenery made for an experience that was both relaxing and invigorating. 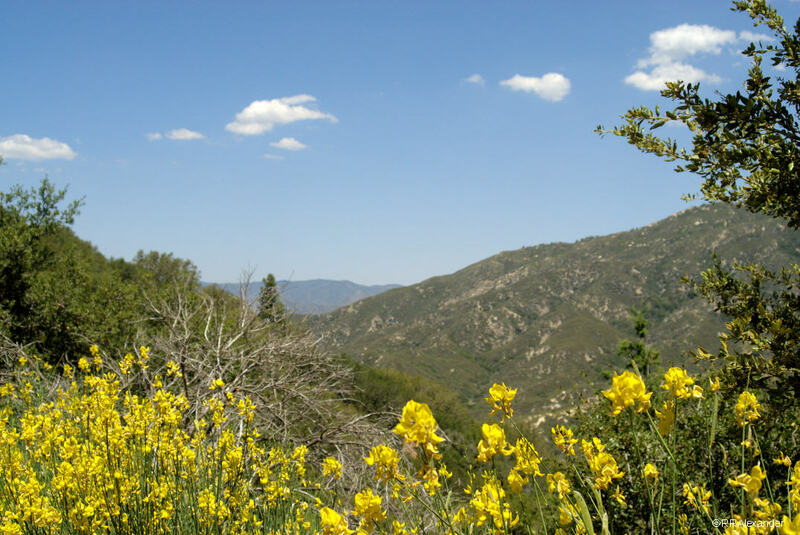 In this photo, yellow Spanish Broom blossoms provide a pleasing contrast to the mountain skyline. Mobile phone reception along the route is spotty at best, due to the lack of cell towers and mountainous terrain. You’re truly “off the grid” for the majority of the ride. 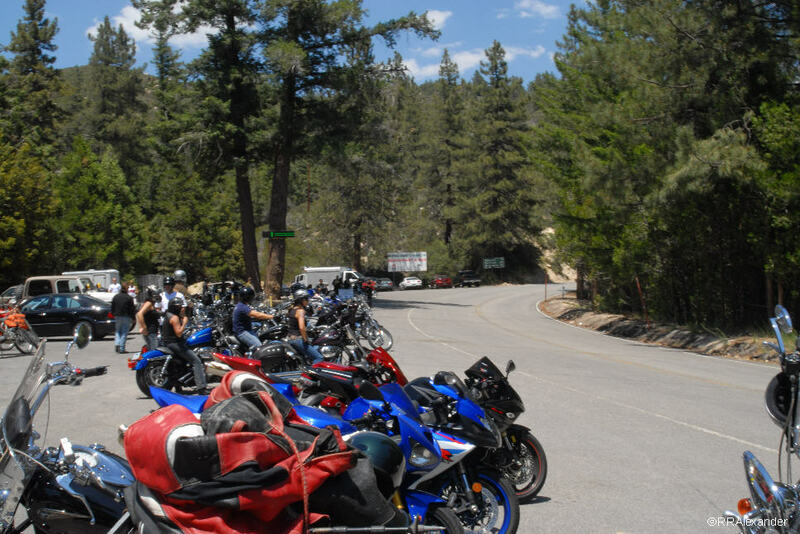 The Newcomb’s Ranch parking lot provides a natural rest stop for motorcyclists and sports car clubs roughly halfway between La Canada and Wrightwood. The ranch, largely a restaurant and bar, has good food, excellent draft beer, and comfortable seating for whoever turns up on any given day, though the service could benefit from improvement. 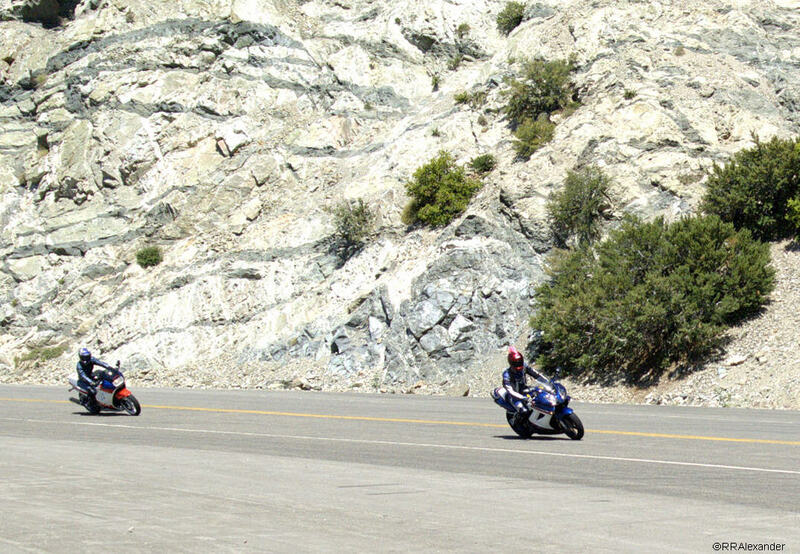 Below: Sport bikes and cruisers in the corners of Route 2, Angelus Crest Highway, and the parking lot at Newcomb’s Ranch. During the late summer fires of 2009, Newcomb’s Ranch was reported to have been burned down. The reports, unsubstantiated rumors at best, circulated on the internet for a couple days, before being proven wrong. The photo here is a view north from Route 2 toward the Mojave Desert (in the middle distance). 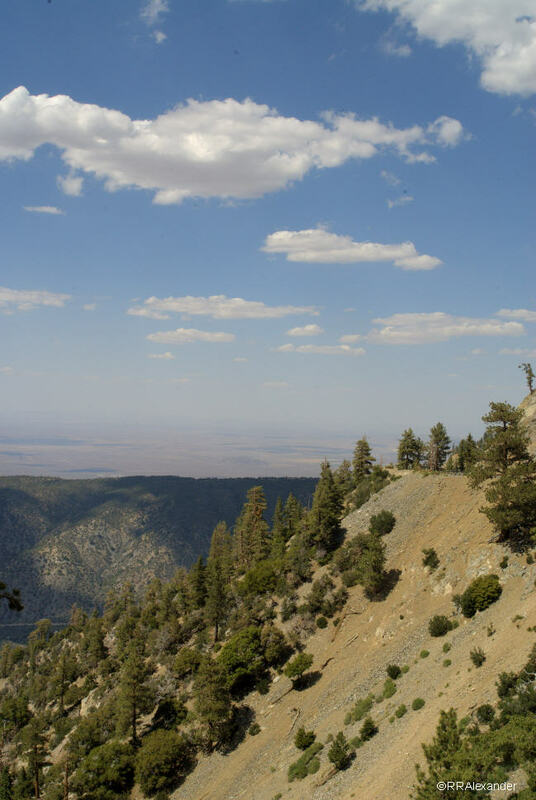 Bypassing the heavily traveled Route 38, Lone Pine Canyon Road runs between Cajon Junction and Wrightwood, extending the ride through relatively undeveloped mountainous terrain for several miles. 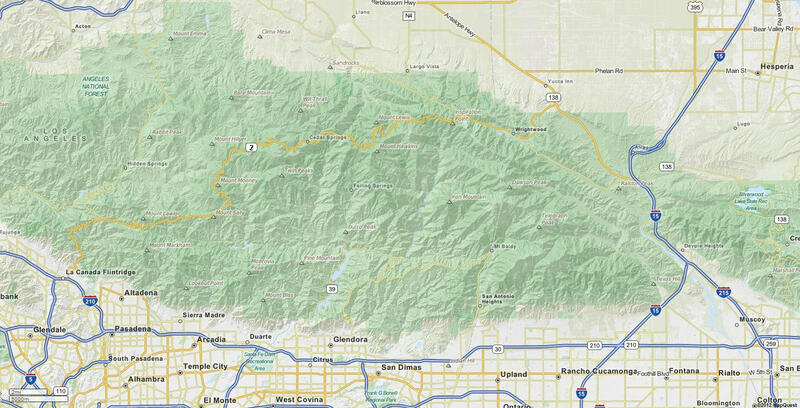 This map shows Lone Pine Canyon Road.